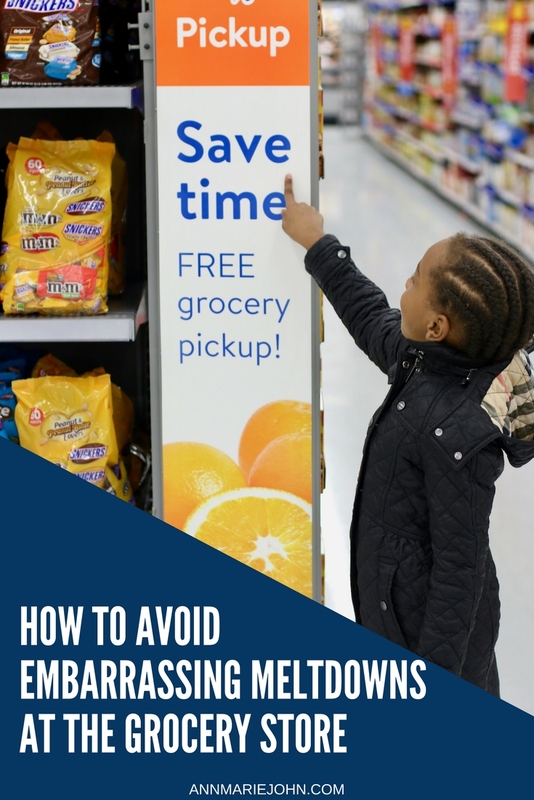 There are a few ways to avoid in-store meltdowns, let Walmart Online Grocery Pickup Service be one of them. The day started off like any ordinary day, but I have to admit that it was entirely my fault. It was almost dinnertime and a few key ingredients were missing. Luckily for me Walmart, my supermarket of choice, was close by. Unfortunately for me, Madison wanted to tag along. It had become the norm that whenever I go out that she would go with me. However, I knew what I was in store for. She hadn't taken a nap and we all know what can happen when kids don't take a nap. They're cranky and emotional and just like Murphy's Law, anything that can go wrong usually does. 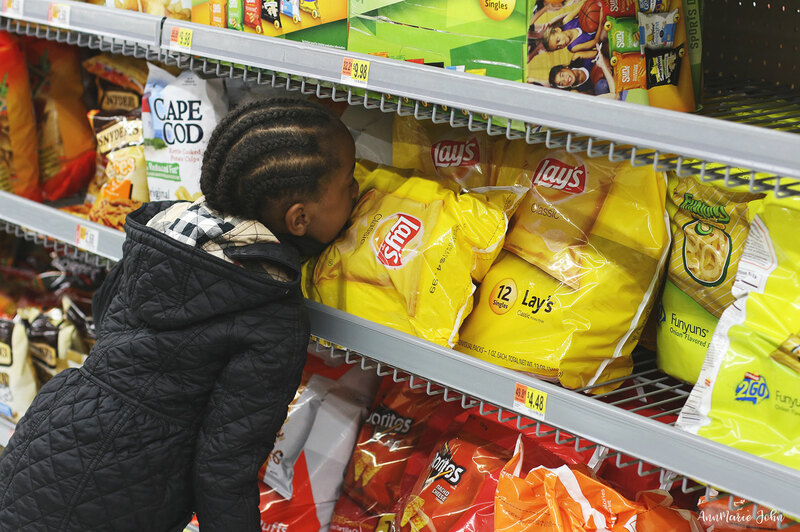 We had just gotten out of the car and had made our way into the aisles when Madison decided that she wanted a particular brand of chip. I wasn't there for chips, my plan was to get in and get out. A simple "no, not today", turned into a full-on scream with a 2yr old on the floor, thrashing around like there was no tomorrow, and as my mother would say "had no home training". Talk about embarrassing! Not only could I not pretend that she wasn't my child, which I really wanted to, but now there were total strangers looking at us both, and I'm pretty sure they were whispering about me. What they were saying, I had no idea, and I didn't want to find out. I wanted to drag her out of the store and disappear forever. However, that was not going to happen, instead, I grabbed the bag of chips and passed it along to her, and the tears immediately subsided. They sure know how to get their way in a crowded arena, don't they? But guess what I learned that day? I learned how I could avoid embarrassing situations and meltdowns just like that. 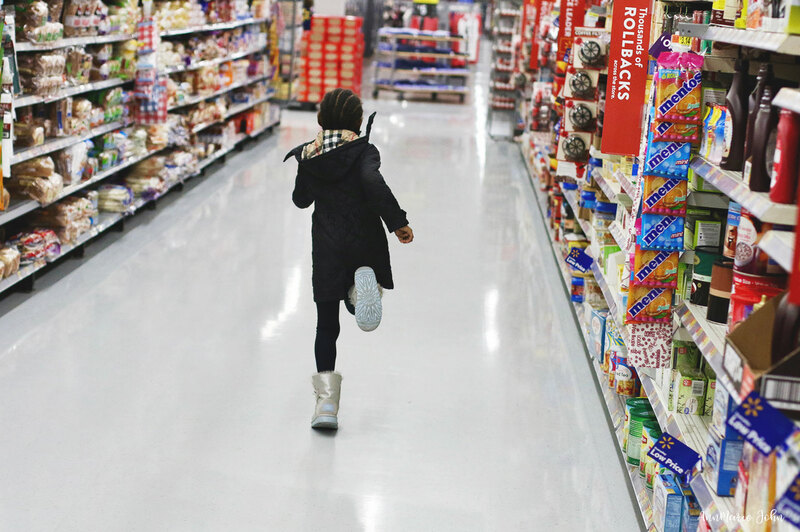 If you currently have a little one, toddler, preschooler or even a kindergartener (trust me, even at age 6, Madison still tries to act out in the store), here are a four ways you can avoid it completely. 1. Consider using Walmart's Online Grocery Pickup service. Now if you decide to use this service, this would eliminate an in-store meltdown from even happening in the first place. With Online Grocery Pickup, you order your groceries online and a personal shopper loads everything directly into your car when you get to your Walmart store. 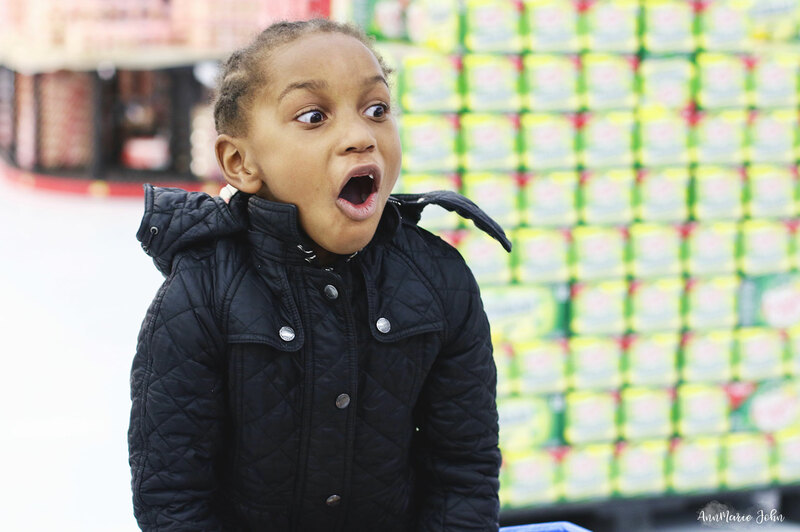 You – and most importantly, your children – don’t even have to get out of the car, and if you are a first time user, you can use promo code WOWFRESH to receive $10 off your order. A tired child is a cranky child, as I found out in the most embarrassing way. Ensure that your child has had a nap and isn't tired or worn out from the day's activities. Being well rested, while it doesn't guarantee that a meltdown won't happen, can at least give you some peace of mind that it will be easier to engage and reassure your child that everything will be ok, and it's not the end of the world. 3. Do your grocery shopping late at night. I realized a very long time ago, that the best time to do my shopping was nearer to the store closing. This is now generally the only way my shopping gets done. Once Madison was fast asleep, I'd make a run to the grocery store. Not only is the grocery store less crowded, which ultimately means shorter lines, you're also able to get in and get out much quicker. 4. If you can, leave them at home! Now, this is one option that I have used over and over again. Unless there was no one at home that could babysit Madison, I would ensure that she's had a nap and was well rested before leaving the house. 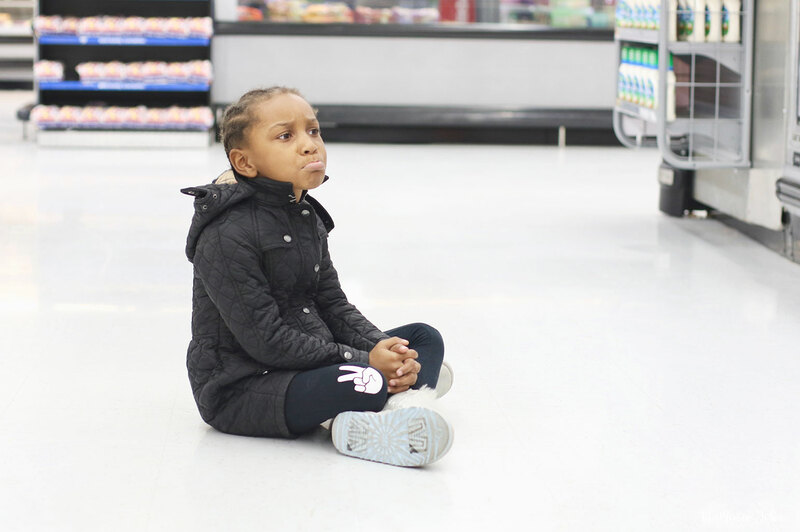 Now that she's older, there are boundaries in place, and she's advised that she's only allowed one item while in the store. A meltdown means that she forfeits that item. However, leaving your child at home will prevent any meltdown from happening. Now if only Walmart's Online Grocery Pickup service was available all those years ago. It surely would have helped me avoid that embarrassing situation altogether. How does it work? It's really simple. Simply log onto your computer, shop for the items you need and you even get to choose a time and location that is convenient for you. A Walmart personal shopper will choose your items, and they always choose the freshest items (or your money back is guaranteed). You will always get your products at the same everyday low prices and your pickup is always free. I would have been able to pull up with my vehicle, gotten my groceries and left without even stepping foot into the store. Madison would not have been tempted, and my sanity would have been kept intact. This service is such as a lifesaver for so many parents and one that I now use myself. It now means no impulse items or unnecessary bags of chips purchases ever. Don't forget, if you're a first time user, use promo code WOWFRESH and receive $10 off your order. I've had my share of them, but I always found that ignoring them and carrying on was the best way to deal with them. Oh I have done that at times myself too, especially now that she's older. BTW, what do you think of Walmart's Online Grocery Pickup Service? Do you use it for yourself? This would have been great then wouldn't it? However, you can still use the service even now. It's great for when you don't have a lot of time on your hands. Oh I totally agree! You don't need to have kid to use the service. It's great for everyone and as long as you shop for groceries, you can use it. 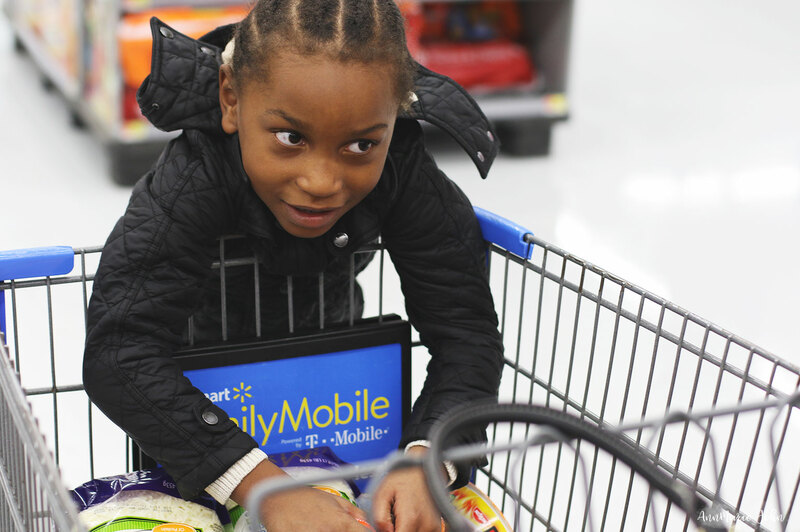 I have never tried the Walmart service but it is a great idea for any parent who has to shop with kids. It is a real patience and money saver too. Oh I agree. Since you don't have to go into the store, there will be no impulse shopping for you and you do save money that way. Your daughter is adorable! I absolutely agree with these tips. I shop with my kids all of the time and I try to avoid melt downs at all cost. I love grocery pickup, I need to check to see if our Walmart has one. Aww thank you. What's funny is that she was actually asking for those same chips (they've always been her favorite) when we went back to Walmart even at age 6 and I said "no". Check and see if your own Walmart has the service. I'm not sure if online Walmart pick up is at my Walmart yet, although, it would be awesome even for me and all my children are adults now. The way I handled the store meltdowns was to give in or so they thought by buying the item. Then when we got home putting it up and not letting them have it. They learned quickly. Hahahaha I love that. I almost always give in and I would give it to her when we got home, but maybe not giving it to her might work next time. The Grocery PickUp Service sounds like a plan! My kids are older, but when they were young, I did have some embarrassing incidents like yours. Usually I ignored them, because they did not really scream or shout, but they were crying - real tears and all. I always said, "Next time, we'll get it for you," and I stood by that promise. I guess that worked out pretty well. Awwww, sounds like most moms went through this stage, and I would sometime say that as well. Walmart's Online Grocery Pickup Service is one that you can use even now. Online grocery shopping makes parenting so much easier. The grocery store is so overstimulating for little kids. Yes it can be at times. There is so much to see, food and people and it can overwhelm them. This service makes it so much easier for everyone. Oh that is awesome. My kids are all older and I use it myself too. Maybe it will come to a store near you soon, and you can take advantage of it. Yes! Couldn't agree more with the napping. I remember when my kids were young... if naps were skipped, there would be some sort of meltdown, guaranteed! Oh having a tired child out and about is about the worst idea ever. If a meltdown was going to happen, it will surely be then. That's an awesome service! I am so glad our store offers fruit for the kids to snack on while I shop. That has been my saving grace! That is a great idea I'm sure. Our stores don't offer that kind of service, but if they did, I would surely take advantage of it. Oh how I wish it was available then too, but now that it is, I'm taking advantage of it. Surely saves me time AND money. This is something that I really need. Great idea from Walmart. I would probable do this. Oh you should more than probably do it. It's an amazing service and great for everyone, especially those with limited time to shop. Really awesome points! It's not easy avoid meltdowns in public but these would really help! Online grocery shopping would be a great choice too! Yes it is, but I have to say that it's great for not just people with kids, but for everyone. Think of just picking up your groceries when leaving work, instead of going into the store to shop for them then. I love Walmart they always gives us extraordinary services. Grocery pickuo service is one ogf the best idea they did. I have to agree with you on that. It's an amazing idea. Like I mentioned above, it's great to just pick up your groceries when you need them instead of actually going into the store to shop for them. I completely know how this feels and that pick-up service won't just help you prevent meltdowns, it will save you time and money as well! I love the convenience it brings! If that's not an option, your other tips are very helpful! Yes, so much yes!! Saves time because you're not going into the store looking around for items, and saves money because you're not impulse shopping, which is something I do do a LOT of. I keep wanting to try this out and you may have just given me the push I needed. Oh and by the way, I was reading feeling your pain with the screaming child over chips as my younger one would have done similar to Madison as she has tried that in the past here, too! Oh you really should give it a try and be sure to use that $10/off code so you can save even more. And my story is one I'm sure most parents can relate to. Great tips here, I do love an online shop or I used to opt to leave the kids at home. I like the idea of a pick up service how handy! Sometimes leaving the kids at home isn't an option so doing your grocery shopping online is the best option to have. Haha! I always avoid to bring my kid at groceries because if my kid always comes with me, she keeps on playing on groceries. And i cant concentrate on all of what i needed to buy. Sometimes it cause me to forget something to buy. Hahahaha I know that feeling oh too well. I have to keep up with my little one and not only do I sometimes forget to buy something, but then I buy things that I didn't need in the first place. That code will save you money and enable you to get a few extra groceries as well. You should totally give it a try. The variety at Walmart is the best and I just love all that I can get, for the low prices too. I have a fear about my future kids having a meltdown. I loved that Walmart has this pickup service now vert convenient. Well now that there's Walmart Online Grocery Pickup Service, you won't ever have to experience a meltdown in public. Put the service to the test. Grocery pickup is a lifesaver even for those of us without kids. Like Rebecca, I hate grocery shopping haha. While I love shopping, grocery shopping is something that I would prefer someone else to do and this service is such a lifesaver. These are great tips. I wish services like this was around when my boys were little. I would grocery shop when the hubs was at home or the boys were at school. Having a pickup service is key in today's modern, fast-moving society. You are so right about that, but guess what? It's even better now that they're older. You can do other things and have someone else shop for you and all you have to do is stop by the store and have your groceries placed in your car. No need to even get out. I often use their service and love it! We had my two year old nephew staying with us all weekend and I got to see some epic public meltdowns! It always surprises me how uncool people are about it. Don’t they have kids too? Weren’t they a kid once? That said, I implement all your tips. That's awesome!! Those epic meltdowns are the best. I wish I had recorded a few of Madison's to show her when she got older. BTW I say the same thing too. Didn't they also have kids or weren't they also kids. Get a grip people!